If you’re looking to be a welder, a chef, a nurse, or an engineering assistant, you can now be part of a program that will give you all the training and experience necessary to start working and making a living straight out of high school. This summer will also be a busy time of year for students in the other apprentice programs. Culinary arts students will start at Central, and engineering assistants will be at Pella Corp or Vermeer. A major milestone for the students in these apprenticeships was the signing ceremony that took place last Wednesday. 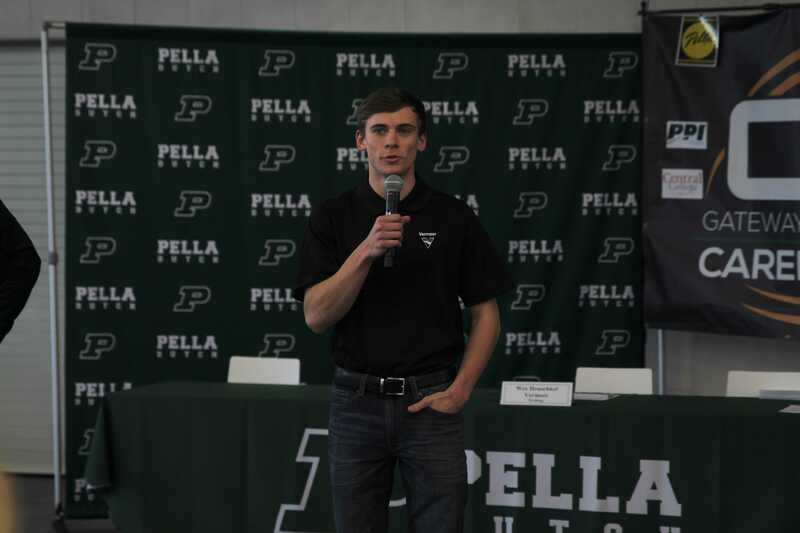 Nelson spoke about the program along with Teri Vos from Vermeer and high school senior Carson Reynolds, and afterwards, fourteen students signed a letter of intent, signifying their commitment to the program. Charles VanderVelden, a welding apprentice, was recognized as the first student to pilot the apprenticeship program. The apprenticeship program offers a career path that allows students to minimize potential debt and helps them to choose a job that is in demand. Good luck to all the students who were signed on Wednesday, and hopefully, there will be many more to come.